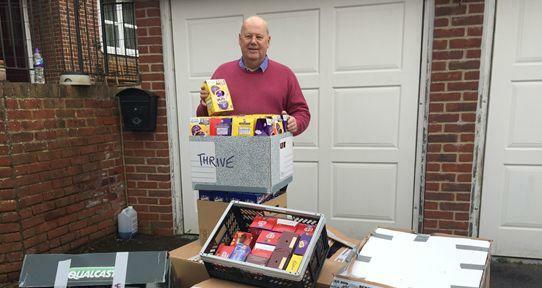 The Rotary Club of Reading Abbey each year helps distribute thousands of Easter eggs collected by the Thames Vale Vultures who are a Reading based Motorcycle Owners Club. The Berkshire Egg Run is a Motorcycle Ride across Reading, which takes place on Good Friday every year. Riders from all across the South of England converge at Stadium Way in Tilehurst from 11am, for a 12.30 departure, riding through Reading ending up at The Abbey Rugby Club in Emmer Green where many of the Easter Eggs are distributed.